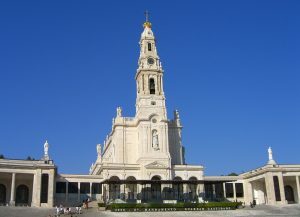 On the morning of August 13, 1917, an enormous crowd, numbering in the thousands, gathered in the valley of Cova da Iria in Fatima, Portugal expecting to encounter something supernatural. The crowds had continued to grow since Our Lady had appeared to three shepherd children on the 13th day of the previous three months. This time was different however. The children never appeared and the people began to grow restless, wondering what had happened to them. They soon learned that the little visionaries had been kidnapped by the local administrator, an avowed Mason and enemy of the Church, named Arturo de Oliveira Santos. As the crowd grew angry, lightning flashed and a small white cloud floating down from the sky and settled over the same oak tree that the previous apparitions had occurred. Everything began to shimmer with the colors of the rainbow and the cloud then returned from whence it came. Despite the abbreviated supernatural visit and the children being absent, this event was more than just a mere detour on the path to the great Miracle of the Sun during the final apparition on October 13, 1917. It turns out, that once we understand the overall message of Fatima, this event is an essential part of Our Lady’s mission to the small Portuguese village. One of the constant temptations to those who encountered Jesus was that they were more interested in being amazed by His mighty deeds than anything else. Just as those who witnessed Our Lord’s miracle of the loaves and fishes were mostly interested in simply witnessing His mighty deeds (c.f John 6:26), there is always a danger that we can get caught up in the Secret of Fatima or the Miracle of the Sun and miss the purpose of Our Lady’s visit. That is, we can forget that miracles are not just supernatural events, but signs. The miraculous events at Fatima are each meant to be signs reinforcing the overall message. 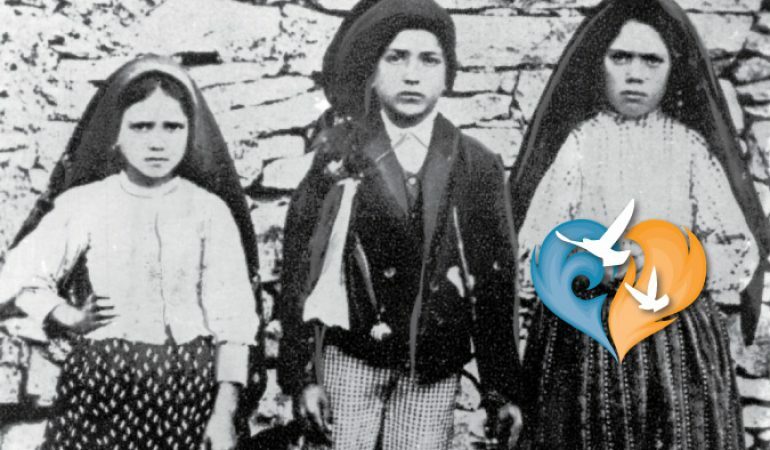 What is the overall message of Fatima? Our Lady came to call the children (and us) to do penance and pray the Rosary for the salvation of souls. This is at the heart of each of the messages she spoke to the children and the so-called Three Secrets that had been revealed during the July 13th visit. By all appearances the August 13th “apparition” was a false start of sorts. But viewing the events through the overall message, we can see how they helped advance Our Lady’s mission. It was the aforementioned Three Secrets that generated the interest of the anti-Catholic authorities and caused the children to be kidnapped. When Santos kidnapped the visionaries by promising them a ride to the Cova da Iria on that August 13th, he first brought them to his house where he attempted to play “good cop” to coax the secret message from the children. While this served to relieve some of the children’s initial fear, they would not break their promise to Mary to keep the contents of the secret to themselves. Once he was convinced this approach would not work, he took the children to a local prison and put them in a cell with some other prisoners. He began to interrogate them separately, threatening to boil them in oil if they did not reveal the secret. The children remained steadfast, prepared to become martyrs rather than cave in the face of the administrator’s threats. Eventually the children were released and taken home on the Solemnity of the Assumption of the Blessed Virgin Mary on August 15. When we apply the lens of Mary’s overall message of Fatima—penance and the Rosary—to the events of those 3 days, we can see how they fit into Mary’s plan. The harrowing events of those three days serve as a model of what it actually looks like in practice to live the message of Fatima. Our Lady wanted to make the children a model for all of us. This call for penance should resonate in our ears. God wants to bestow upon His children adopted through Baptism the graces won by His natural Son to be co-redeemers with Him (c.f. Col 1:24). While many of us will not face an ordeal as momentous as the little shepherds did, our daily trials can be a source of sanctification for ourselves, but also when borne with patience and love for souls, can be united to Christ’s. When confronted with two choices, we can always choose the one with more of the Cross in it and, like the Little Flower, strive to never miss an opportunity to offer a sacrifice for the salvation of souls. Our Lady also wants us to use the events of those three days to remove the main obstacle we often face when doing penance for others—fear. These were mere children and there is no natural explanation as to why all three of them were able to remain steadfast when faced with the prospect of being boiled in a cauldron of oil. But they did not conquer their fear, it was grace that worked in them. The willingness to be martyred is always a grace and Our Lady wants us to know that we should not let our fear stop us. By selecting little children, Our Lady wanted to make it abundantly clear that we should not despair of the help of grace in the midst of our trials. 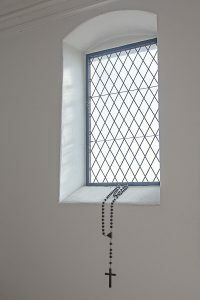 I want you to continue going to the Cova da Iria on the 13th and continue praying the Rosary every day. In the last month I will perform a miracle so that all may believe. The location may have changed, but the message rang familiar. As this centenary year marking the apparition of Our Lady in Fatima nears its conclusion, the message of Fatima remains relevant. As Pope Benedict XVI when commenting on the contents of the Third Part of the Secret once said, “the exhortation to prayer as the path of ‘salvation for souls’ and, likewise, the summons to penance and conversion” remains ever new. May we take this to heart and live the message of Fatima every day. Always learning and being inspired by your writings. Deo gratias!